An estimated 20,000 people will be attending the New Year’s Eve fireworks celebration at the Space Needle Saturday night. 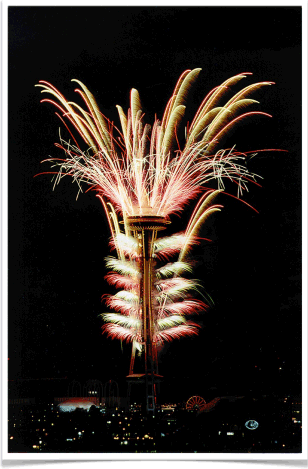 Workers with the firm Pyro Spectaculars spent Friday attaching fireworks to various parts of the Needle. 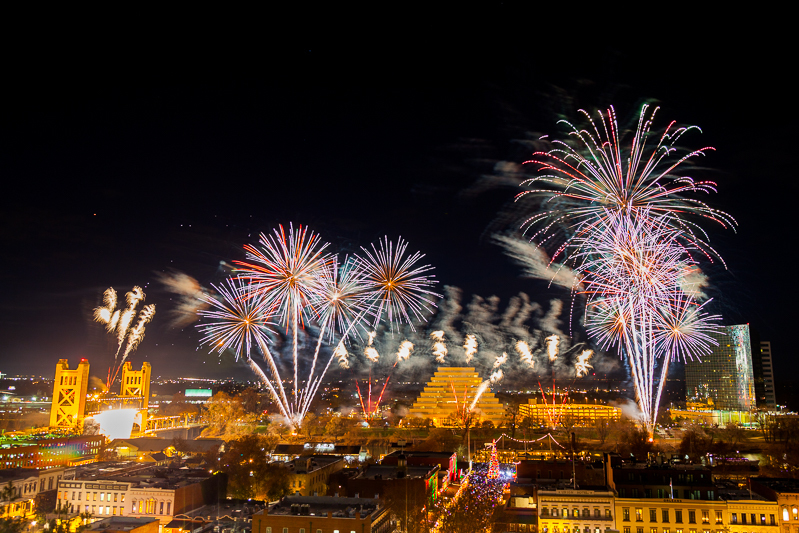 Every year since, his crews spend the end of December strapped to the Needle, setting up the fireworks show that will ring in the New Year. The crew of 12 loads boxes full of the fireworks onto 30 different locations on the Needle, including on the very top saucer-shaped section. Those with a fear of heights need not apply. On Friday, winds were blowing at about 30mph on top of the Needle. Workers wear harnesses and they take it slow and easy. Once they’re locked and loaded, Navarro said the weather can’t stop the show from going on. “If there is wind, everything moves, but the show should go on because it’s a very safe installation, and the products are the best products available,” Navarro said. This year’s fireworks theme is space exploration, to mark the 50th anniversary of the Space Needle.